What’s wrong with BSNL - They have disconnected IDEA, Vodafone & others from their network! Since last Saturday I am unable to make calls from my idea connection to any number on BSNL network connections. This is most likely due to the non-payment of interconnect usage charges (IUC) by Private Mobile Operators. IUC are essentially the charges paid by one operator to the other for using its network to complete calls and send SMSes. So when Idea consumer makes a call to BSNL network – Idea has to pay certain charges to complete its call to BSNL and vice-versa. Here is the recording of message that I get when I try to make calls from my Idea Network to BSNL. BSNL has lot of outstanding from various operators for very long time, and there is no doubt that private operators are responsible to pay BSNL, but that does not mean that users should get screwed for this issues between operators. Infact, BSNL has defied the ruling of the appellate tribunal which has directed BSNL not to disconnect users from its network and had clearly stated that the operators shall continue to pay intra-circle carriage charges to BSNL at the same rate that they had been paying since July, 2010. The question is – What should consumers do in such a scenario? Any answers? 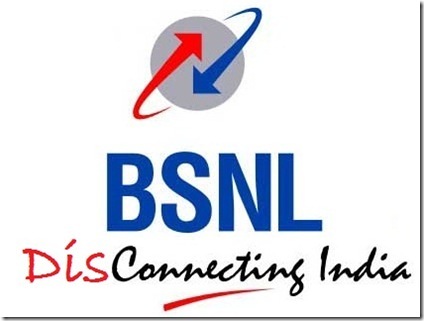 One thing for sure, this move is going to hurt BSNL most…. What do you think? "What’s wrong with BSNL - They have disconnected IDEA, Vodafone & others from their network! ", 5 out of 5 based on 1 ratings. When the private operators put their customers at risk by not paying ICU to BSNL – a contractual obligation – then the consumer should hold their private operator responsible for deficiency of service – file a complaint with National Consumaer Forum. I am sure the private operators too will do the same – pl read the stories on Aircel vs Airtel & Vodafone! BSNL will continue to make losses if they do not get their lawfully due revenue. Switch to Airtel i am doing the same.I have BSNl No and Idea No are not working with it.Applying for Portability. It is absolutely fine with BSNL. They only know the babugiri. Just disconnect it so that private providers will come running to BSNL to solve the problem. BSNL enjoy the privilege of being a Babu who can incur heavy loss without loosing anyone’s job? This is a great art. Show ur importance by denying. Easy way. BSNL employees are rude and this is one of that…… so natural…..
@ARUN PRABHUDESAI do u hav any other ideas or ways , how bsnl would get its due from the private operator without disconnecting them? That is one reason for BSNL going in heavy loss. Just because of private operators BSNL is bound to disconnect other mobile operator users. Ultimately the loss is of users. This is just to hurt BSNL, nothing else. Yes this is really not a good News from BSNL. And if this will go on for a long time then people will really switch from BSNL as new connection is just a piece of cake in India. They should really get this sorted out ASAP to retain their customers. People who have 2 simcards will be the ones who wont miss the calls.